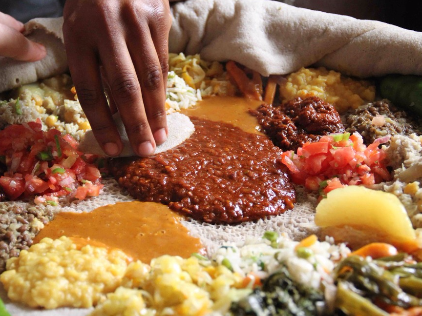 The Addis Ababa food tour takes you to several restaurants to taste their best dish. Our guides tell you the story behind the food and the traditions involved in cooking each dish. Food tours are concentrated in a single neighborhood where we walk between each stop. In total, we spend around 45 minutes on foot. The tour lasts roughly four hours and we’ll keep the food and beer coming to make certain you leave happy and stuffed!